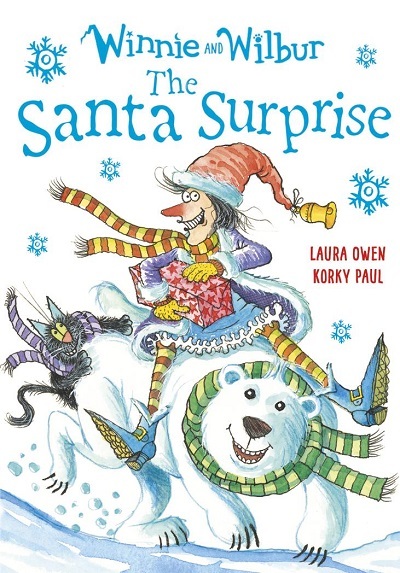 Christmas is coming, and everyone’s favourite witch and her furry feline friend are ready to celebrate! We’ve assembled some of Winnie and Wilbur’s finest festive treats to get you and your child excited for the holidays. So settle down in front of the fire, grab a hot chocolate, and join the pair on their madcap escapades with these magical activities and books. 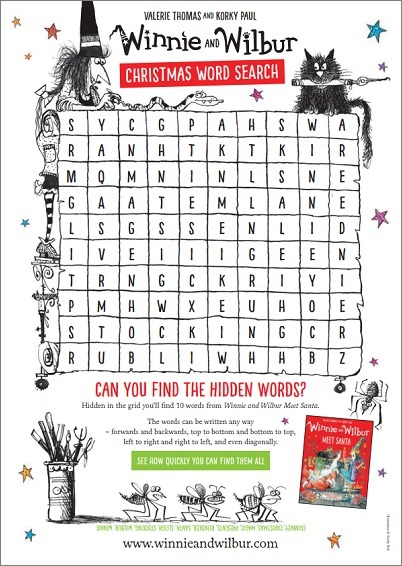 Keep your child’s mind active throughout the holidays with our Winnie and Wilbur Christmas wordsearch. 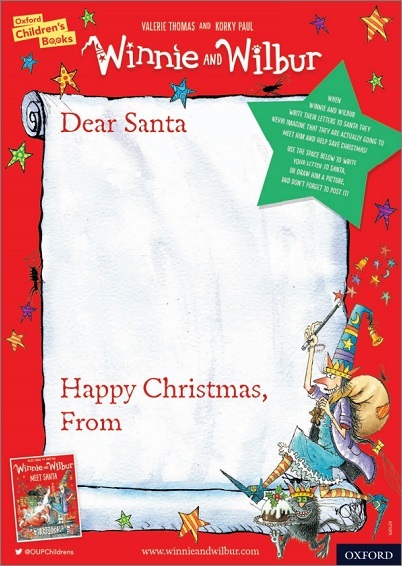 Practice literacy skills and get into the Christmas spirit by encouraging your child to write a letter to Santa. Maybe Santa will even share some of your child’s present ideas with you, making this ideal for getting some inspiration! 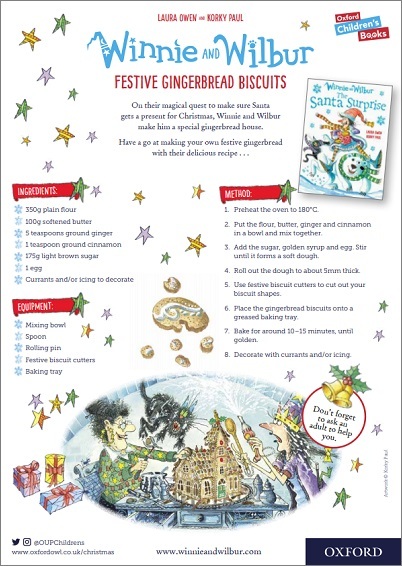 With our Winnie and Wilbur gingerbread recipe, you can get creative, practice maths skills, and make some delicious treats. What’s not to love? It’s Christmas Eve, and Winnie and Wilbur are super excited. They’ve posted their letters to the North Pole and made everything festive. But then, disaster strikes. Santa gets stuck in their chimney! He desperately needs help with his deliveries otherwise Christmas just won’t happen. 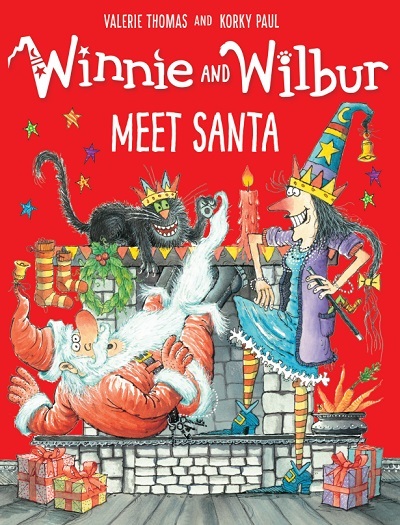 It’s a jingle-all-the-way Winnie and Wilbur adventure, ideal for ages 4–5. Winnie and Wilbur have just opened the latest door on their advent calendar when they wonder, ‘who gives Santa a present’? This thought leads to an epic Christmas quest. This is the perfect Christmas present for Winnie and Wilbur fans who are ready to move on to a longer story. Looking for more Winnie, or more Christmas books and activities? You can find lots more resources across Oxford Owl.